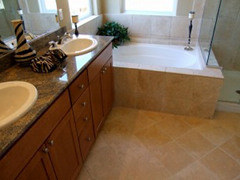 Lehigh Valley Home Innovations (LVHI) provides custom bathroom and kitchen remodeling services to residents in the Lehigh Valley. 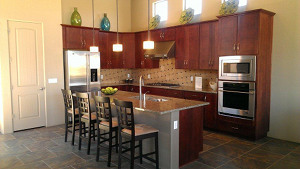 Increase the value of your home by creating the kitchen of your dreams. 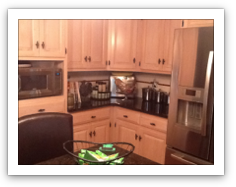 Lehigh Valley Home Innovations provides timeless solutions to kitchen & bathroom remodeling for any budget. All projects are priced desirably, and include labor, materials and permits. We can supply various written estimates based on different plans, designs and options. From conception to the final details, we help you select materials, fixtures, & surfaces. From flooring to backsplash, fixtures and proper lighting – we will turn the heart of your home into a more functional, family living space. LVHI understands that remodeling your kitchen is not something you should expect to do every fifteen years, so we listen closely to our clients and build to suit their specific needs and lifestyle. LVHI will show you how top quality finishes and the latest in functional design techniques can enhance your kitchen and bathroom experience. Please see below for a list of our most commonly requested projects.